We all travel from time to time. In our travels, it can’t be helped where we would need to stay for a few days’ time. Sometimes we just need a place to crash for the night. 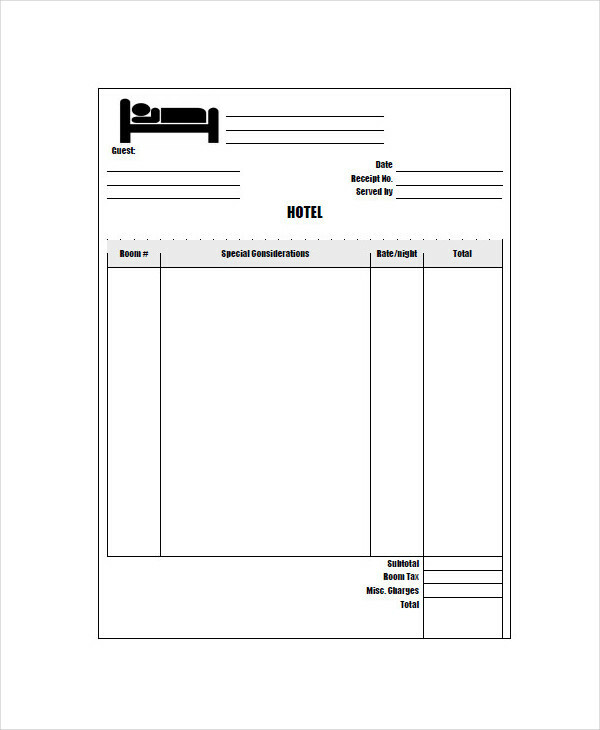 Staying at a hotel is a fine choice until we get the billing invoice. 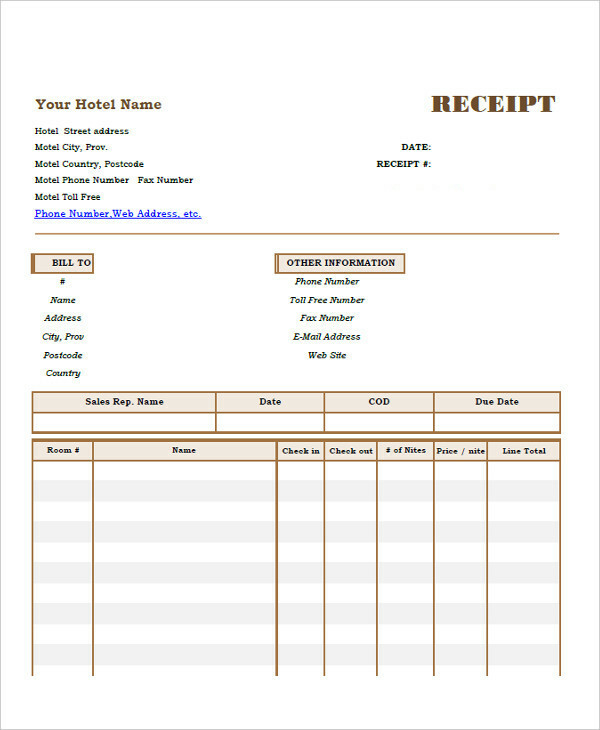 The hotel invoice is a form of trade invoice used to demand payment from a customer. 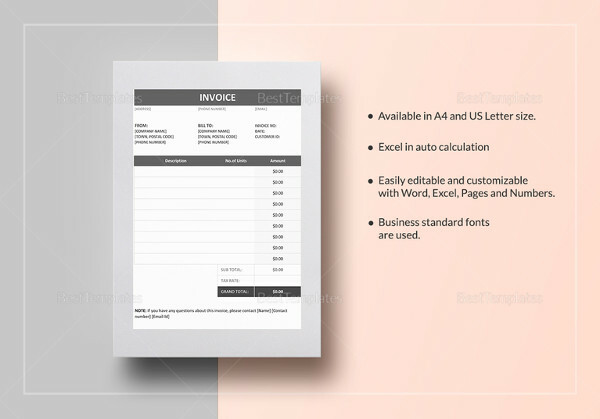 Most of us don’t mind the preparation of the invoice as long as it does not go over our budget. 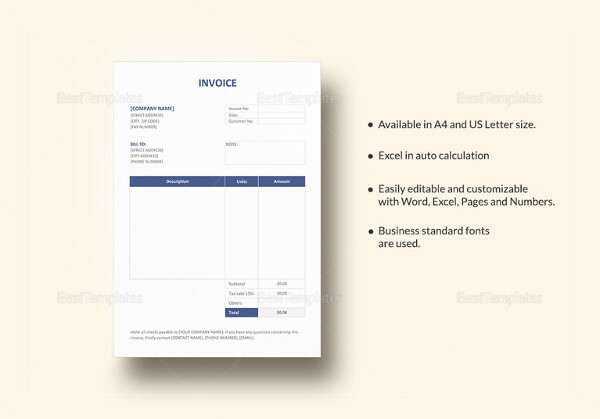 Examples of free invoice can be found here. All of them are available for download by clicking on the download link button below each sample. 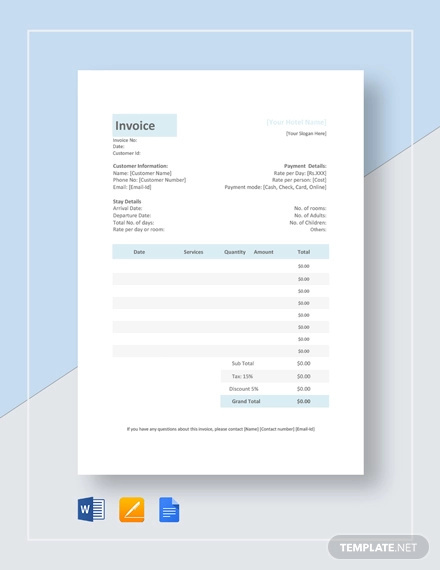 What Does a Hotel Invoice Look Like? 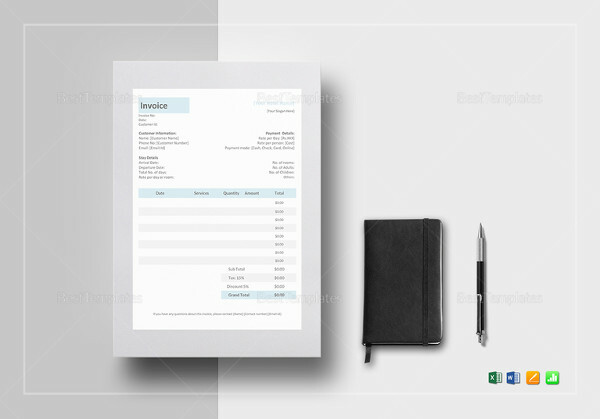 For starters, a hotel invoice usually contains information such as the type of room, the cost of that room per night, and the accommodations that go with that choice. 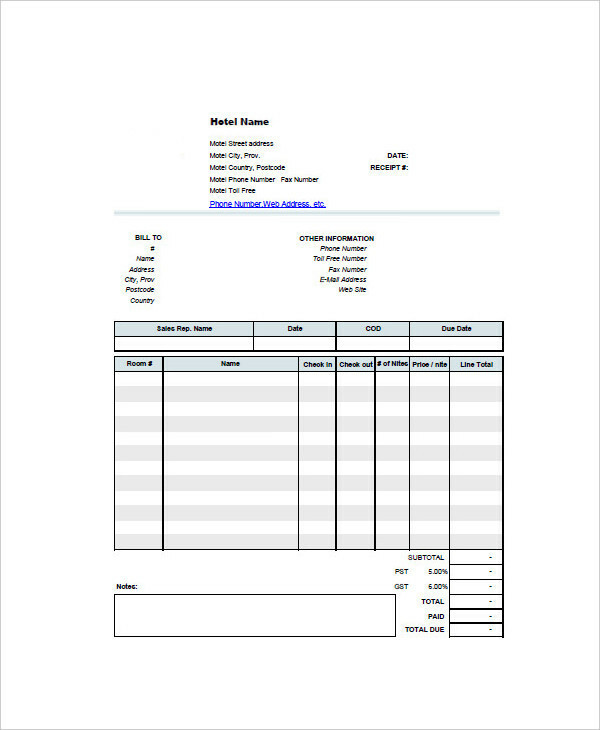 This simple invoice would also show the name of the guest, registered address and contact information, and details of the stay, including any items consumed. Name and registered address of the guest – This is important for proper identification. It should also contain an emergency contact number in case of unforeseen incidents. 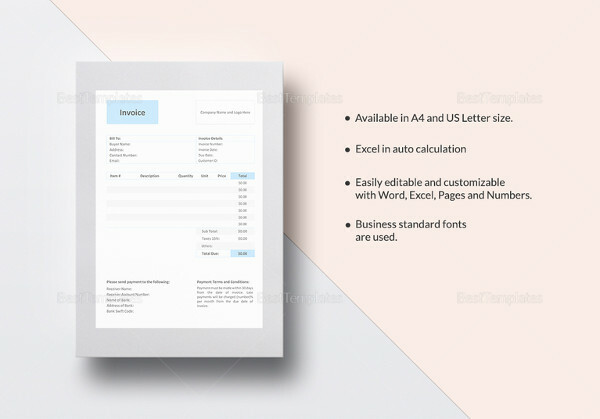 Invoice number – This number is the basis or reference when searching for the invoice in the hotel’s system. 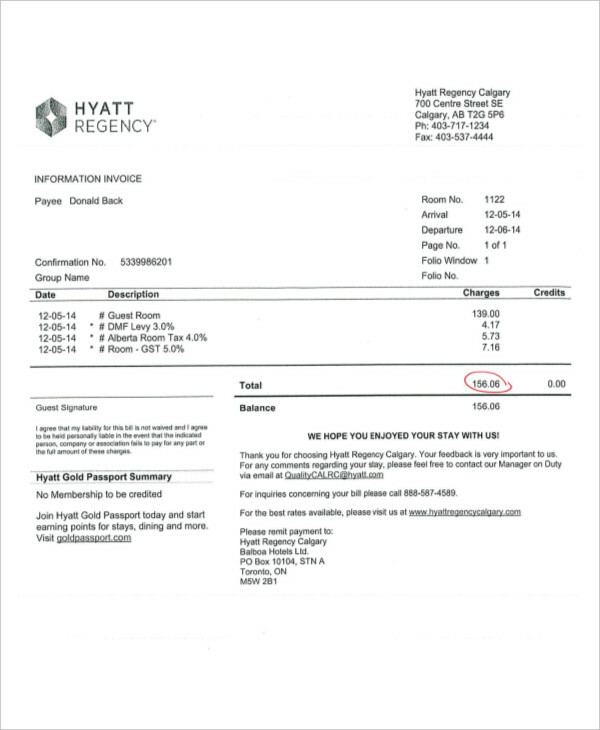 Bill details and total – This is the items/services billed including additional costs as needed, and the total cost for the stay. 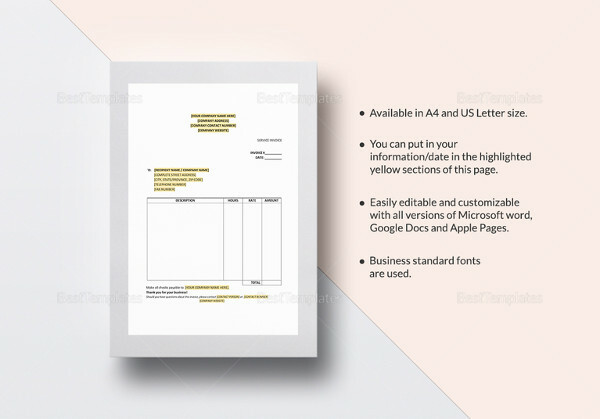 Breakdown of added taxes and fees – It is required by law to stipulate and show any taxes being charged in connection with the stay. 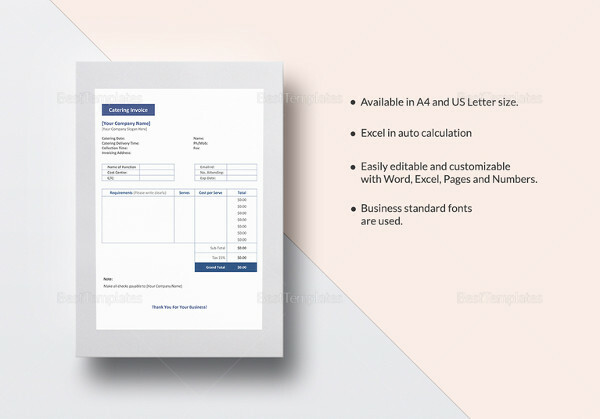 Payment methods – This line would show options as to how any guest of the hotel will be able to settle the billed invoice. 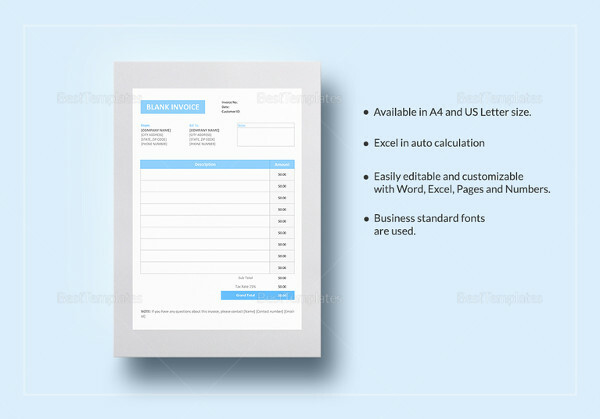 The most important details will be included in every blank invoice offered here. 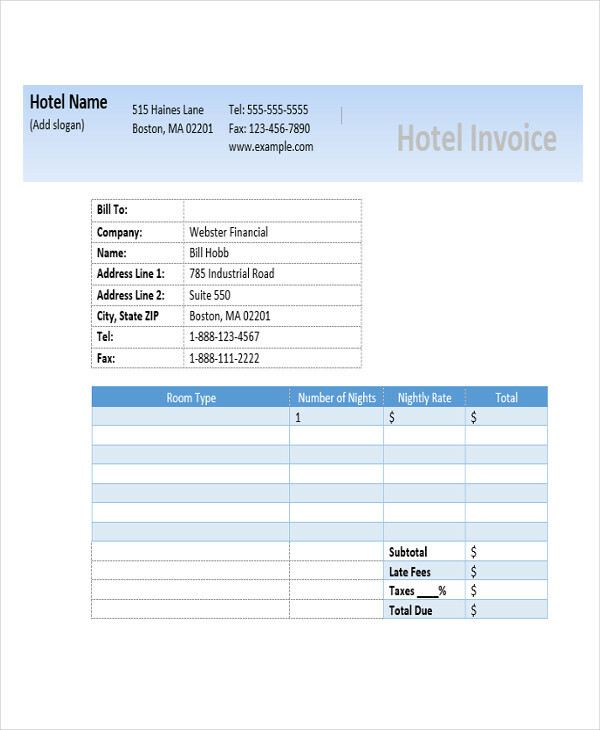 Why is a Hotel Invoice Needed? Having a record of the guests who have stayed at a hotel may be useful information in the future, especially in matters pertaining to the law or with statistics. 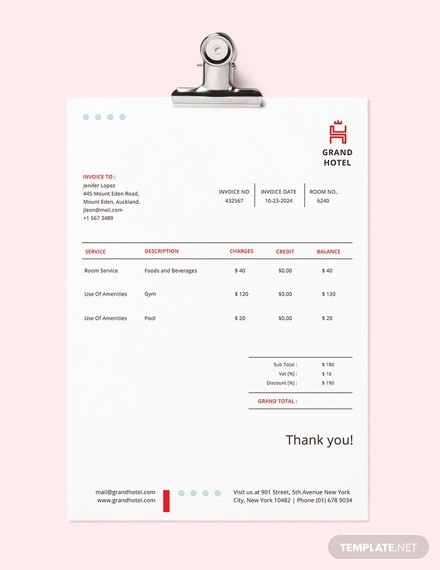 Information regarding the dates or seasons when most guests stay at a hotel can help hotel management groups with their marketing plans and strategic plans. 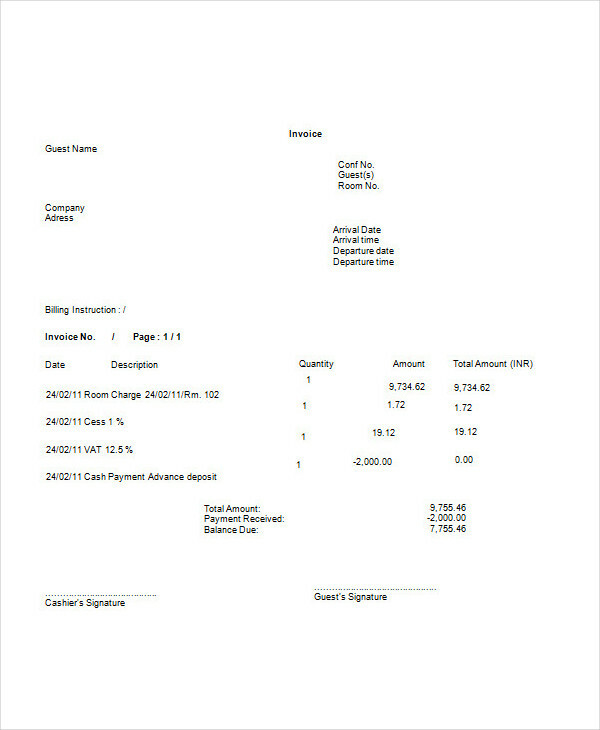 Hotel accountants use hotel invoices for their financial statements. Taxes for the business are based on the hotel sales or how much a hotel is making. 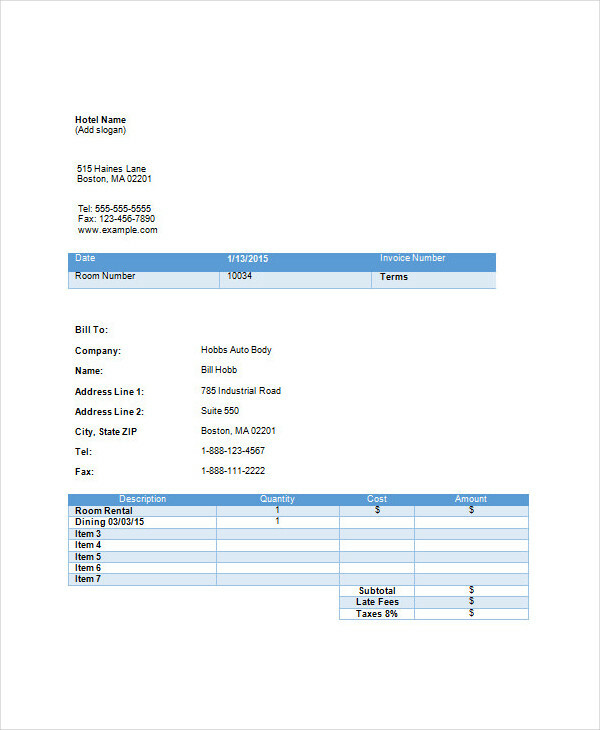 Information from hotel invoices is used as a basis in filing of such taxes required by law.